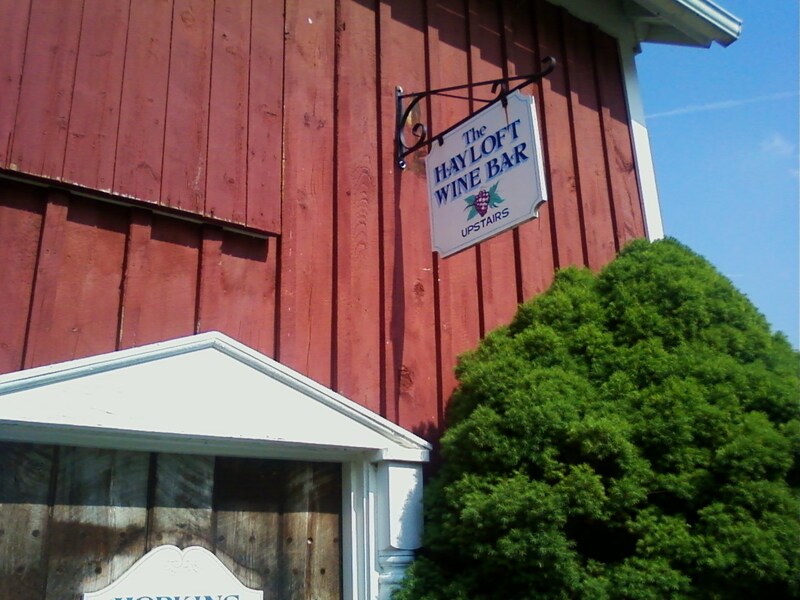 One of the state's 10 oldest wineries is preparing to celebrate its 50th anniversary. Johnson Estate Winery, established by Frederick S. Johnson in 1961 in Westfield, Chautauqua County, just finished renovating and expanding its tasting room. Tanks can be seen through a new glass wall of the former apple cold storage building that long has served as the tasting room and gift shop. 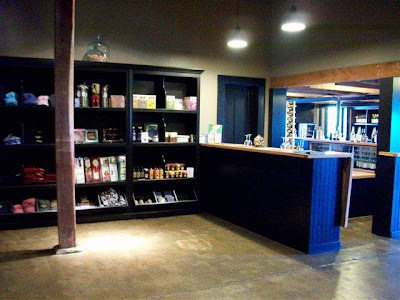 The original portions of the building, including simple moldings, century-old barn beams, and even old insulated walls, have been preserved, according to a news release from the winery. 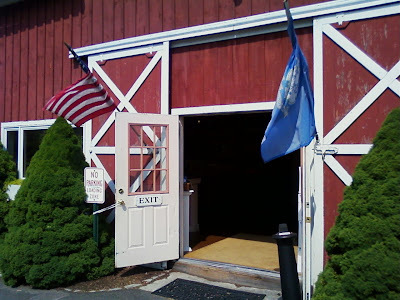 The farm originally was owned by the Peacock family, heirs of the original owner and land agent of the Holland Land Co. In 1911, Frederick W. Johnson, an immigrant from the United Kingdom by way of Canada, purchased the land and house and built the apple cold storage building that now houses the winery. Frederick S. Johnson, son of Frederick W. and Nan Scouller Johnson, founded the winery after serving as a pilot in the Navy, graduating from Cornell University and working in international agriculture, according to the winery's news release. He was among the first in western New York to plant French-hybrid grapes bred for wine, and those vines still produce juice for many of the estate's wines. 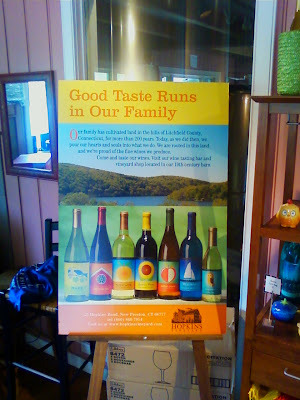 Today, the winery and farm are owned by the third generation of Johnsons, all Cornell graduates. In the June 2011 issue of Beverage Media magazine, the resource bible for wines and liquor stores nationwide, there is a fantastic piece on New York wine. 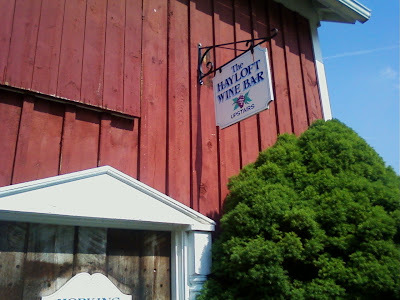 It's a great feature story that profiles many wineries from throughout the state, including Niagara, Finger Lakes, Long Island, Hudson Valley and elsehwere. Very nice piece. The story was carried nationally. 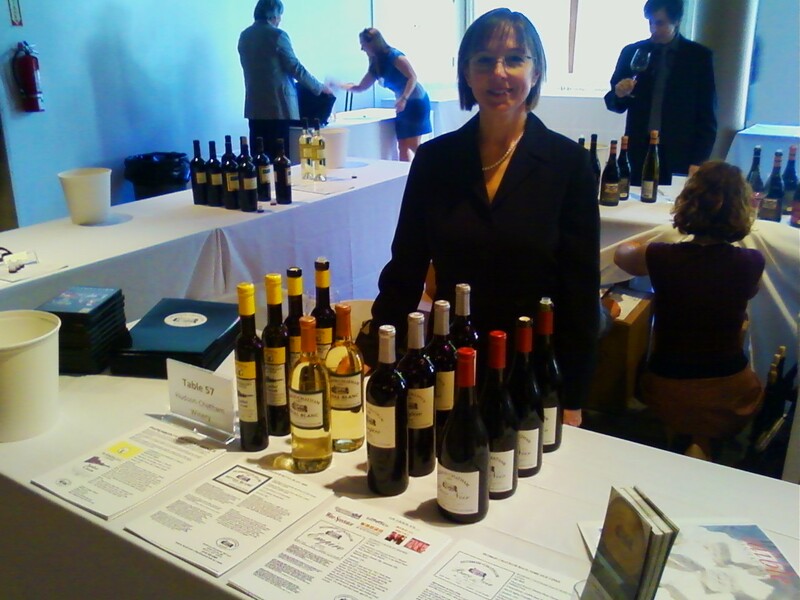 Its a great shot in the arm for New York wine. Seems like this is the year of regional wine books! First the Finger Lakes got their shot, with two books this season, and now Connecticut is getting in the act. A former son of Connecticut, I am pre-disposed to like this book. 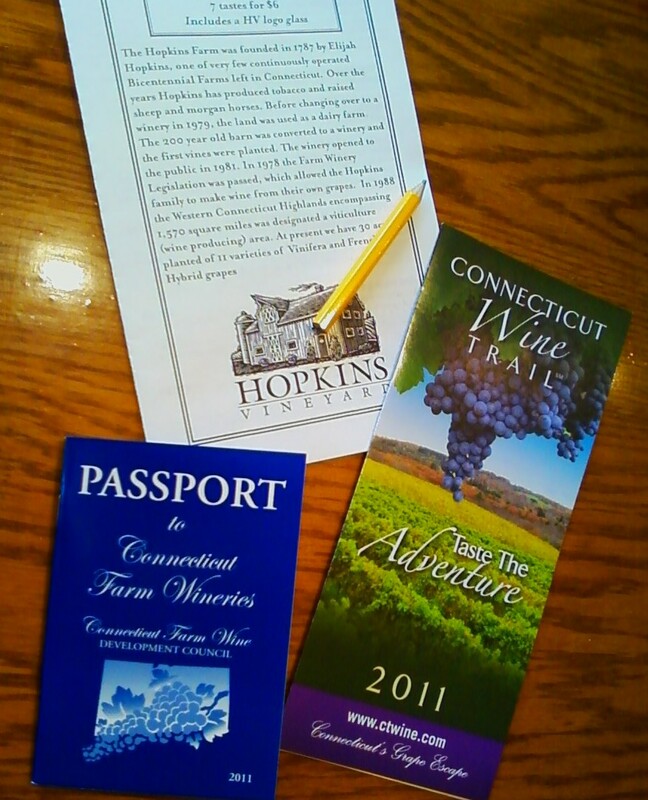 Wine has been meticulously crafted in Connecticut ever since colonists discovered wild grapes growing on their land. At first glance, the New England climate appears inhospitable for this fastidious fruit, but a number of varieties thrive here, including pinot gris, chardonnay, cabernet franc, cayuga white and st. croix. These carefully cultivated grapes have produced wines of unique characteristics and surprising quality. Join local wine enthusiasts Eric D. Lehman and Amy Nawrocki as they explore the intricacies of the region s local blends, the vintners who craft them and the people who taste them. This is a great little book (only a very readable 128 pages). Lehmann and Nawrocki affably tell the history of wine in the state, and interview numerous people in the bargain. A truly wonderful little tome, filled with all the interesting anecdotes one might expect. It's a great book. 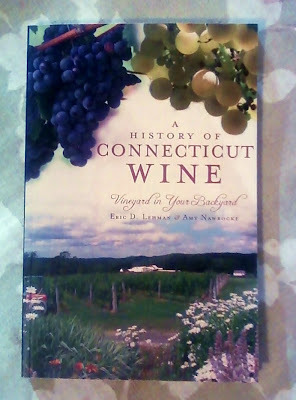 If you like wine and live or are visiting New England, you should buy a bottle of Connecticut wine and read this book, either in a Adaronack chair by Long Island Sound or the Atlantic Ocean, or on the porch of some lovely back country summer home or inn. A fun, wonderful read! Saratoga! Horse country! 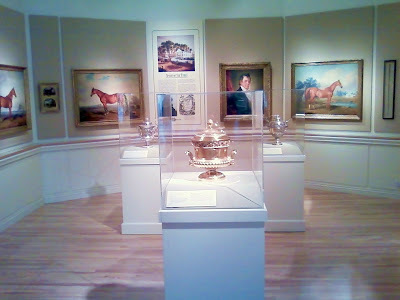 A weekend or two ago, Dominique and I took the boys the National Museum of Racing and Hall of Fame, which is dedicated to the history of thoroughbred racing. We have always loved horse racing, and used to go fairly often to many different kinds of racing from Timber races, the Fair Hill races, to Monmouth, Pimlico, Churchill Downs, and Belmont. 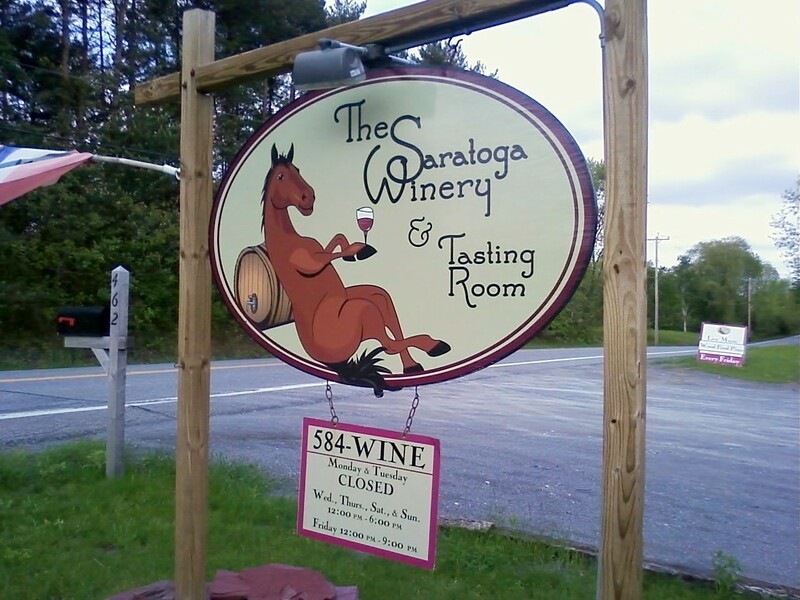 And yes, of course, we even went to Saratoga. So it seemed right that for us to visit Saratoga, and not visit Saratoga Winery, would just be plain silly. They are just finishing a sizable expansion, so the tasting room was quite big and roomy. An old barn, reoutfitted, it was filled with old, used wine barrles and wood bar top. Very homey and unpretensious. They had numerous wines, including dry, semi-sweet, and sweet, and a few extras as well. You see, Saratoga Winery does traditional wine - and well. But they also make some non-traditional wines as well. 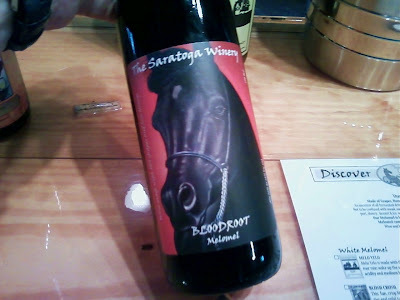 Bloodroot is one of the wines I had at the end of my tasting. Saratoga makes Melomels - grape wines made with honey. There are not many in all the east coast. This one is a dark red, port-styled wine. The wine is made from Malovasia grapes and aged in oak. It is also sweetened with honey. It's very much like a port, but you can taste a hint of honey. A very nice dessert wine. Another melomel is Melo Yelo. It's made of Riesling and is blended with sweet wild flower honey. 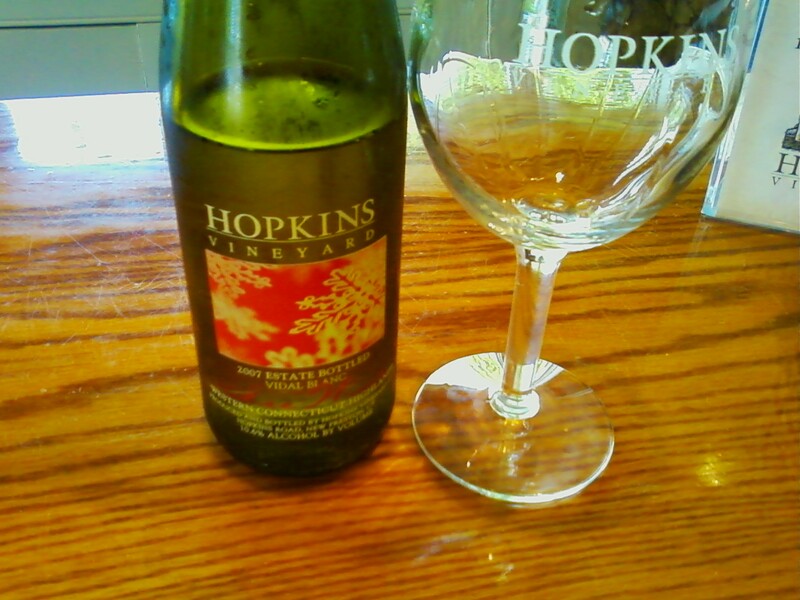 Aromas of apricot, pear, honey, and spiced apple come forward, with a big hit of honey. This is a big dessert wine. Perfect with creme brule', well made sugar cookies, figs and cheese. A different expereince for dessert. Fun to try. As I said, they had more tradition wines. I tried a very nice Chardonnay and then had a lovely Riesling. We liked the Riesling very, very much. My favorite was next - Steeplechase. No. 1, it defintely had the best label - horses racing coming off a jump! Loved it! But what of the wine? This was a very nice blend of Cabernet Sauvignon, Rougeon and Lemberger aged in oak. Medium bodied, it was very Burgundian as it's tones of black pepper, plum, pomegranate, and black cherry both on the nose and in the mouth. A nice, smooth finish. I liked it alot! And then came time for more traditional fare. 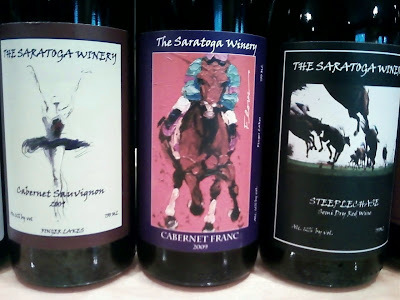 The Cabernet Franc 2009 was among my favorites. A medium-bodied red with hins of cherry and raspberry and plum, and just enough of a whiff of herbacenous and a whiff of vanilla sent me over the age. Nice mouthfeel. Good tannins. Light to medium in body. Really, really lovely wine. I liked this and the Steepleshase the best. The Merlot was very nice, with all the characteristics of a wine you would expect. Raspberry, cherry, hints of vanilla. This was a lovely, red, dry, classic red. Very nice. The Cabernet Sauvignon 2009 was also good. Strong hints of dark cherry, dark raspberry, and a hint of cassis and vanilla brought to life in a glass. A big dark red wine meant for grilled meats. 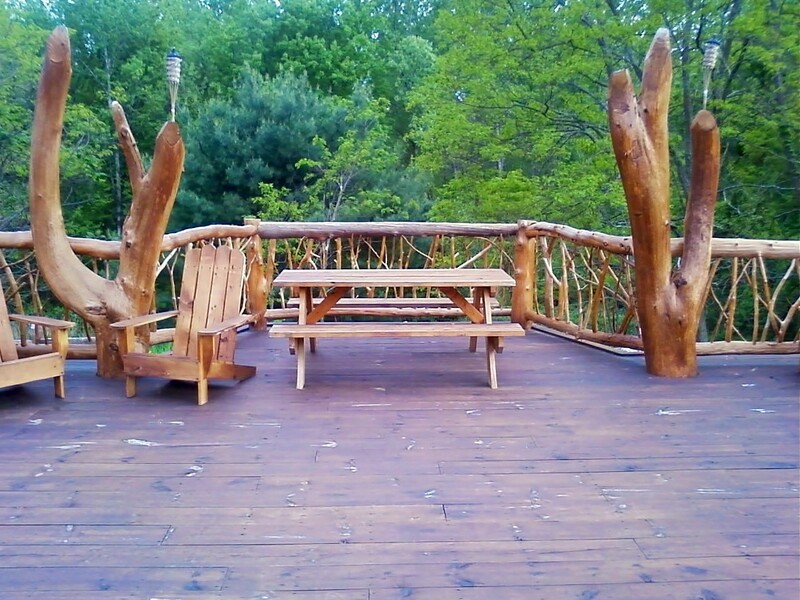 Out back, the winery featured a beautiful deck, which, not unsurprisingly wasfilled with people al around. I just happened to catch a brief moment when no one was in the frme...but trust me, the deck was filled with people when we first got there! 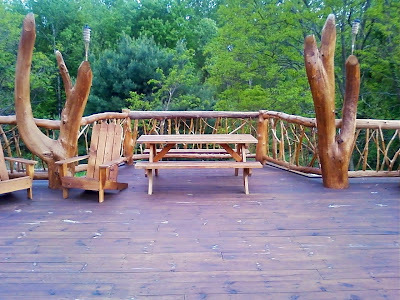 A great place to hang out with friends, and while away an hour or two! Back in the day, when I was first started going to wineries, more than 20 years ago (gulp! is it that long ago?) 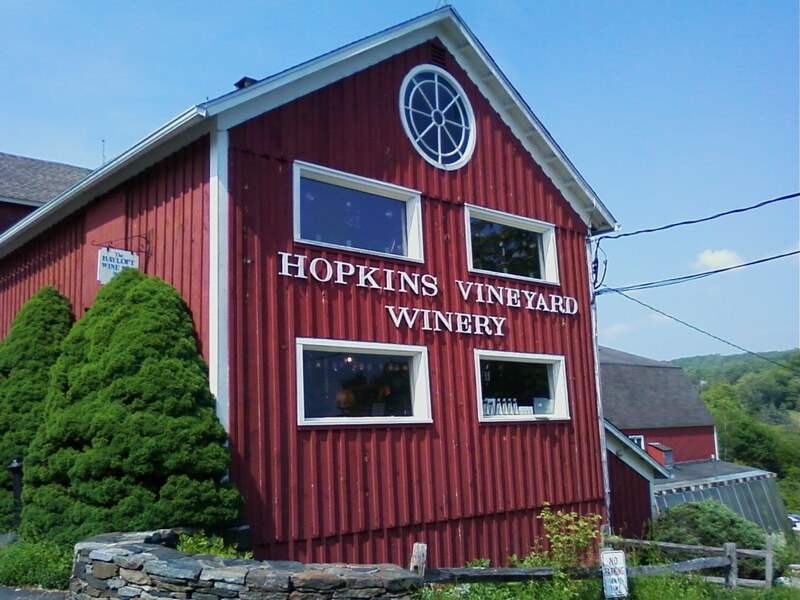 I took my then girlfriend and another friend, and we drove up Route 7 to Hopkins Vineyards. Set on the northern shore of Lake Waramaug, Hopkins Vineyard, a family-owned Connecticut Century Farm, proudly maintains a tradition of making fine wines of award-winning quality. In 1787, Elijah Hopkins, returning from the Revolutionary War, chose this rich and fertile site on Lake Waramaug to settle his family and start the Hopkins Farm. The farm has seen the raising of sheep, race horses, grain crops, tobacco, and dairy farming in the intervening years. 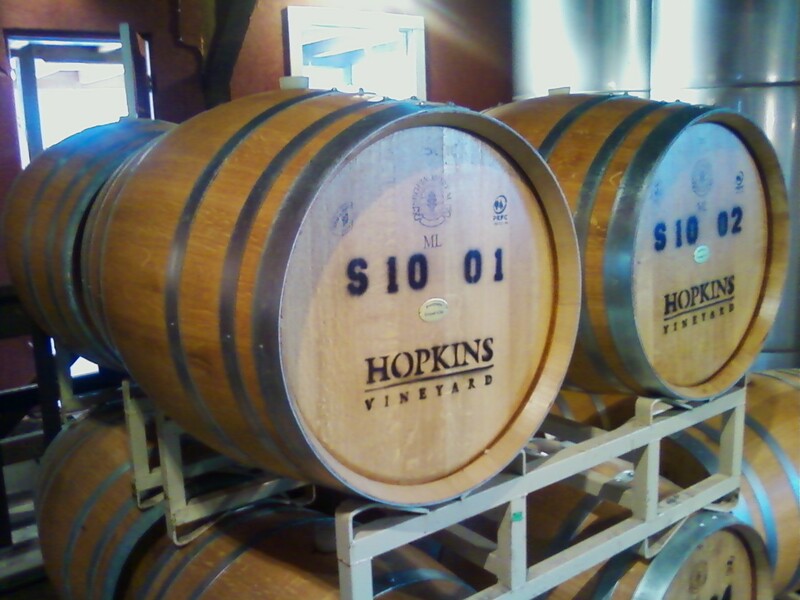 In 1979, the first vines were planted and the 19th century barn was converted into successful local winery. They've been in business for 30 years. My first visit was back in 1990 or thereabouts. Bill Hopkins is the winemaker and Hilary Hopkins is President, both descendents of Elijah Hopkins himself. 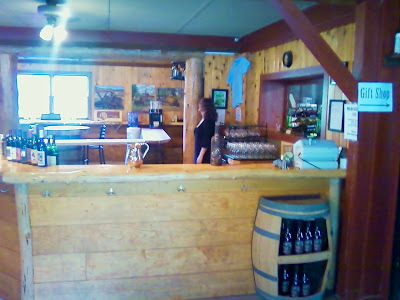 The tasting room is housed in the estate's old barn, which has been re-outfitted for winery production. The tasting room is pretty, with a view behind the bar of the rolling hillsides. 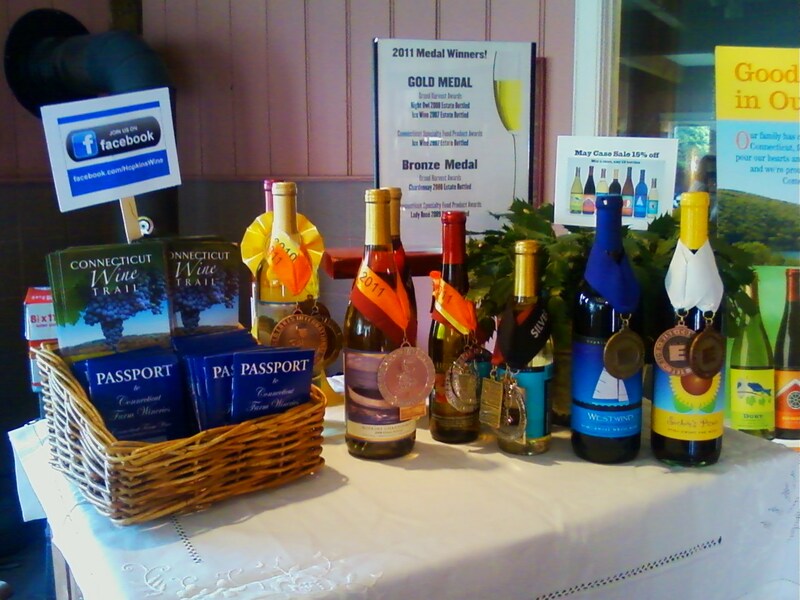 There are bottles everywhere festooned with medals and awards for all their wines. 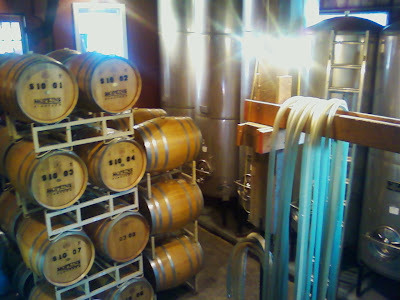 I started with the barrel fermented Estate Bottled Chardonay 2008. It was light, lively, crisp, with hints of green apple and honeysuckle, a hint of melon, and a lovely smooth finish. A nice mineral feel comes across as well. This is a very, very nice chardonnay. 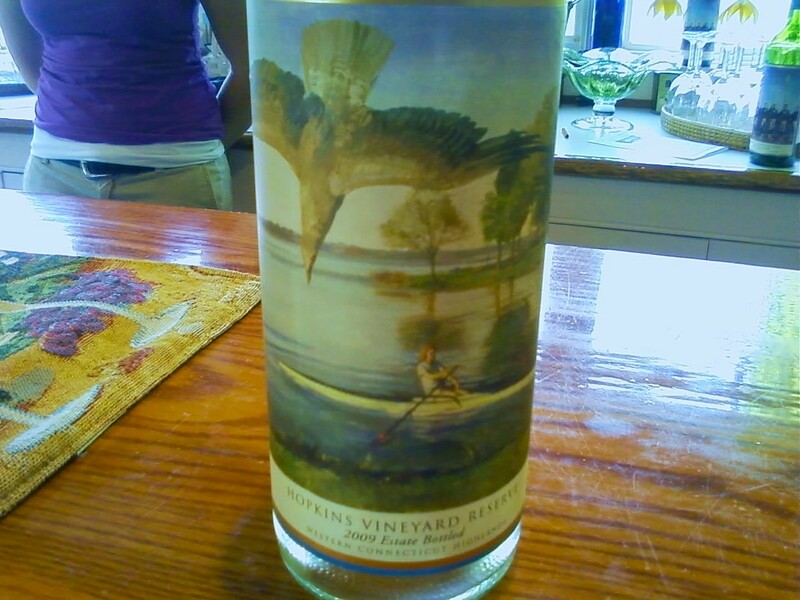 Estate Bottled Vineyard Reserve 2008 This wine is made froom estate-grown Seyval Blanc grapes. This is a big, fruity, crisp, light, dry, white. Apple and peach come across. The ending though it citrusy and bright. Very refreshing. One of the best Seyval Blancs I've ever had! Excellent!!! 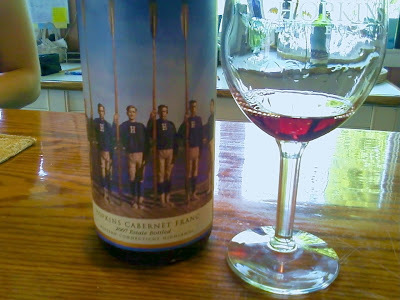 Cabernet Franc Estate Bottled 2006 - This is an entirely estate-grown Cabernet Franc. It is medium-bodied red, with a nice nose filled with raspberry, cherry, vanilla. pepper, and a hint of pencil shavings (a classic Cab Franc trait). A touch of dried leaves or earthiness too. Nice mouthfeel, with soft fruits, dark raspberries, dried figs, and black currant all come through as promised. The tannns are not so up front here, and the finnish is smooth, but the fruit will linger, and the tannins hit late. 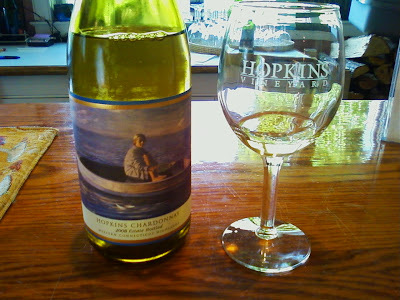 One can almost taste the warm Connecticut summer, and the cool hints of autumn in this wine. A very nice wine, perfect for grilled meats. Lovely! Estate Bottled Ice Wine 2007 - They do this the old fashioned way - picking grapes left ot hang for in the winter. They pick 'em in the cold Connecticut winter. This is a eye-popper of a wine. The nose is a big whiff of honey, apricots, apples and peaches. Big, big nose. The wine itself is unctious and delicious. The same flavors show up in the mouth, but with an acidity that balances out the sweet, with a flavor you want to savor. Its really a sensation you don't want to end. Luckily, it lingers for a good long time. Absolutely one of the best dessert wines I have ever tasted. I hadn't been back here in a long time. When I was younger, I came here fairly often, hitting Haight-Brown and DiGrazia back in the day. Those were some fun days, riding in a convertible, with the top down, riding through the sun dappled Connecticut back country roads. Having grown up driving up and down the Connecticut roads from Fairfield down to Southport, Westport, Darien, New Cannan, and down to Greenwich, and driving up and down to places like Kent, New London, Stonington, and other places, I remembered a lot of days from my childhood and young adult life. Peering into jumbles of things in old antique shops, gleening through titles in ld book stores, and looking at countless stonewalls. The winery in the back has grown since I first started oming. The rooms must be the same size, because I remember the walkways on the self guided tour, and they are very well worn. 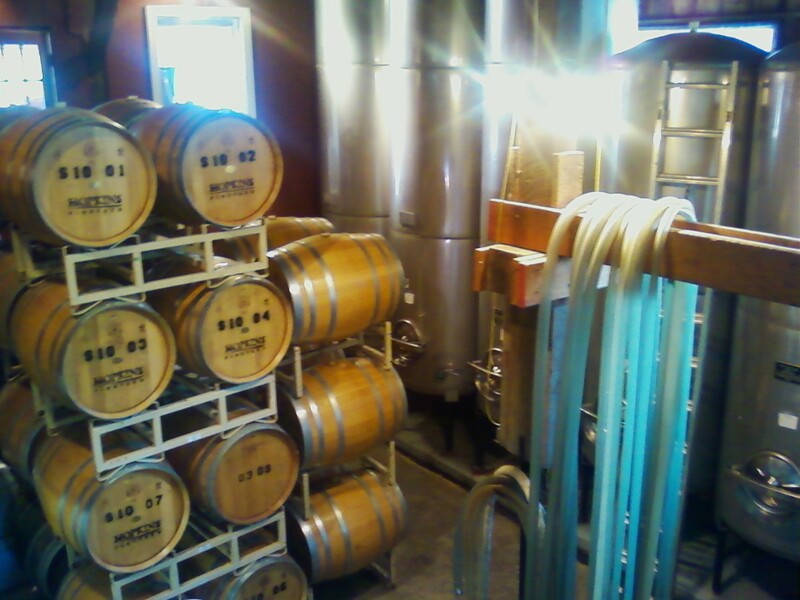 But the tanks seem bigger now and there are more barrels of aging wine. They are defintely making more wine than before. They also have a series of picnic wines, with slightly lower price points, and graphically different labels. 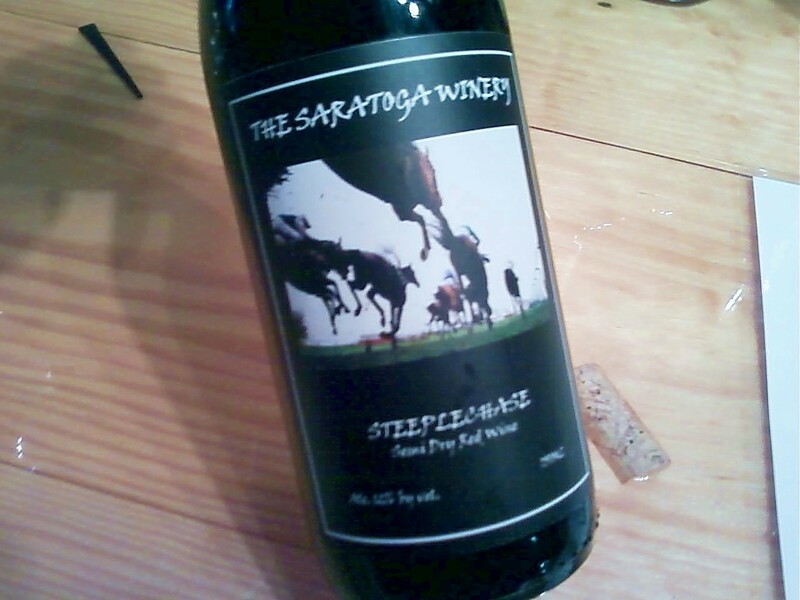 Westwind (a semi-sweet white blend) and Sachem's Picnic (a semi-sweet red blend) seem as popuar as I remember them being. Also, I was disappointed that the cider was sold out. It is a lovely, farmhouse cider, as I remember it. Quite nice. I was bummed it wasn't available. The other thing I highly recommend is going up stairs to their lovely diningroom, where you can sample a bottle of wine and a nice cheese plate featuring locally hand made Connecticut farm fresh cheeses. I know Wolfe said You can't go home again. But for one day, it was nice to see, and know that instead of diminishing in your eyes, that it had actually improved with age - as all fine wine should. 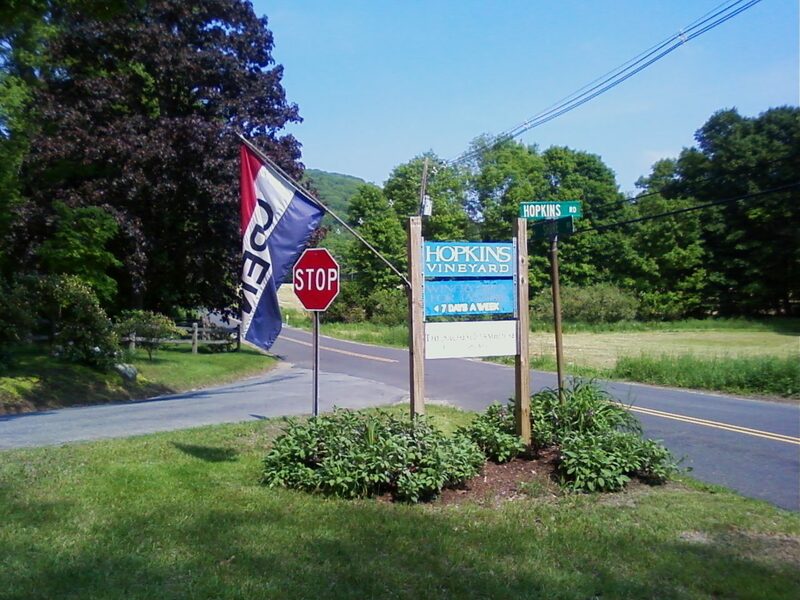 Hopkins was somehow even prettier than I even remembered. And the wine had aged very, very well. A great, great expereince in a beautiful part of the world. I will not equivocate - I have been collectng bottles of Benmarl Baco noir since I first started drinking it about 10 years ago. I love it. There is nothing much like it in my expereince. I've cellared many of them over the years. They only get better. It's fabulous. 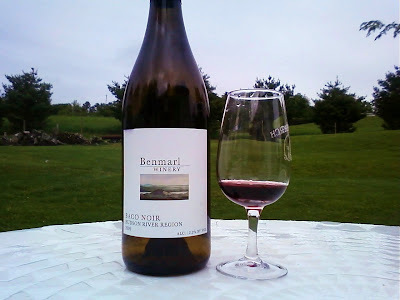 Mark Miller founded Benmarl Winery at Slate Hill Vineyards, America's oldest vineyards (the vineyard site has been under production in three different centuries now). Baco Noir is one of the hybrids bred to replace Pinot Noir during the phylloxera epidemic in the 19800s, but which thrives beautifully in the Hudson Valley. The wine is a big nose full of sour cherry, with hints of plum and spice with a whiff of vanilla, and a slight touch of barnyard. It's a little bit of Burgundy right in the middle of the Hudson Valley. This a great food wine, perfect for chicken, pork, or roasted lamb or other game meats. Great with grilled meats as well as beef or lamb stews. Another terrifc red wine from Benmarl. I'm going to place several in the cellar as soon as possible. 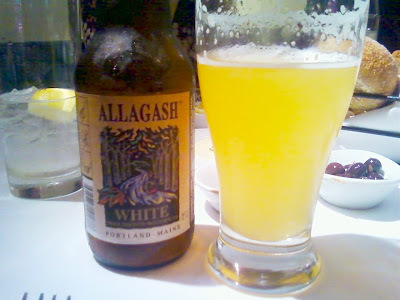 I was recently out in NYC the other day, and had the opportunity to try a wonderful beer, Allagash White. 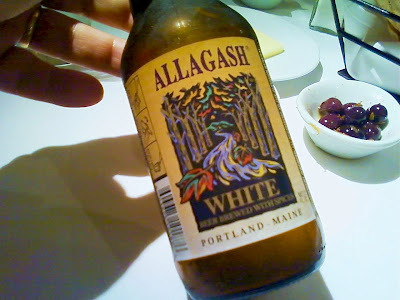 Allagash Brewing Company started in 1995, as a one-man operation in a small space on the outskirts of Portland, Maine. Founder Rob Tod had worked in a brewery setting before and recognized a void within the craft brewing movement. While both German and British styles had become prevalent throughout the U.S., the ever-creative Belgian-styles were very difficult to find. Through his travels, Tod had sampled many of these unique beers and felt that the flavors and traditions of Belgium needed to be shared with the American drinking public. He designed a small 15-barrel brewhouse, gathered the finest array of authentic raw materials and began his quest towards the production of traditional Belgian style ales. Rob sold his first batch of beer in the summer of 1995. The first release from Allagash was Allagash White, modeled after the traditional "White" beers of Belgium. Also referred to as "wit" beers, they get their unique flavor from the use of wheat in place of barley, and the use of Curacao orange peel, coriander and other spices. Allagash combined these ingredients with their very own proprietary Belgian yeast strain to create the remarkably unique and refreshing beer that is today their flagship brand. I love a good "wit" beer. The beer was cold and refreshing, and a great accompaniment with food. Really really enjoyed it. Great beer! So I was out to lunch the other day with Barton Seaver (For Cod and Country) at Union Square Cafe' and on the wine list they had several New York wines. Since I was having meat, I decided on a glass of red. 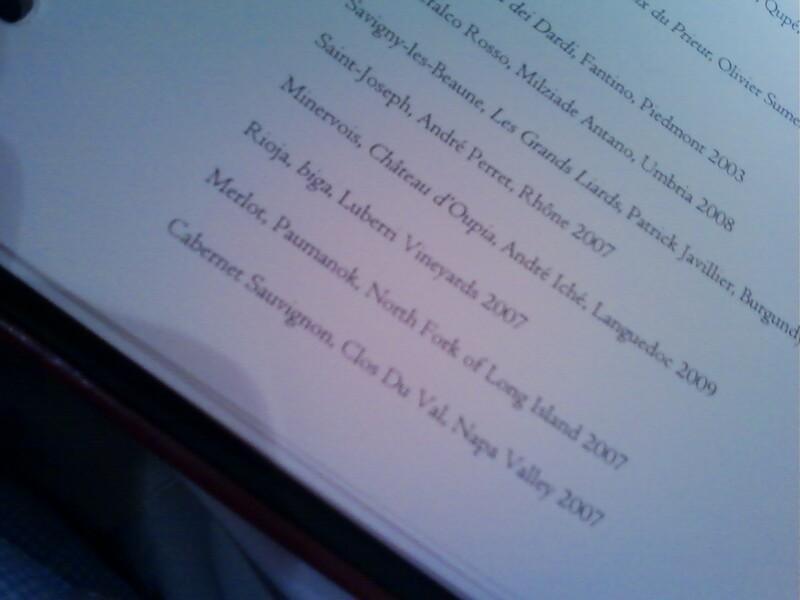 There on the menu they had Paumanok Merlot 2007. Paumanok is one of the best vineyards out on the North Fork of Long Island. Founded in the spring of 1983, their 103 acre estate is entirely owned and managed by Ursula and Charles Massoud, and their three sons. 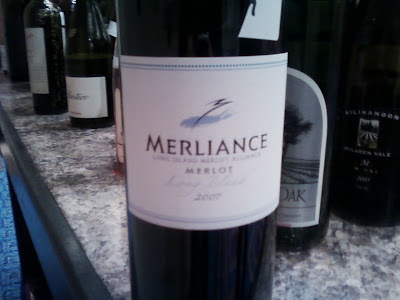 The Merlot 2007 was a big red up font with jammy flavors of plum, prune, and dark raspberries. There was a hint of vanilla on the nose. One of things I've always liked about Paumanok is that their reds seem much more in the Bordeaux/Rioja style, with good fruit up front, but with lots of complexity. The wine was gorgeous, and went beuaitufully with my meal. With the advent of the publishing of Even Dawson’s instant classic SUMMER IN A GLASS and John Hartsock’s SEASONS OF A FINGER LAKES WINERY, it is without question the Summer of Love - Riesling, especially in the Finger Lakes region. 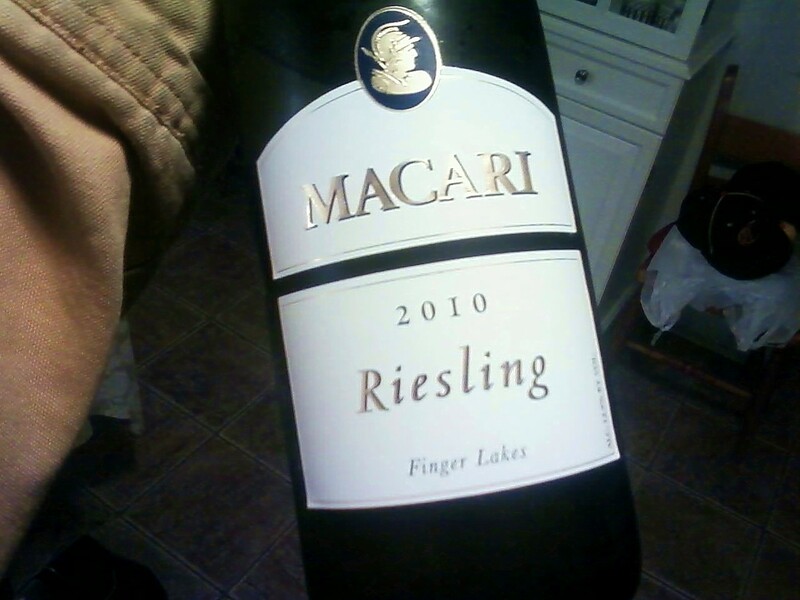 However just the other day, I pulled out a bottle of Macari’s newest release the 2010 Riesling Finger Lakes. Macari is one of my favorite producers. 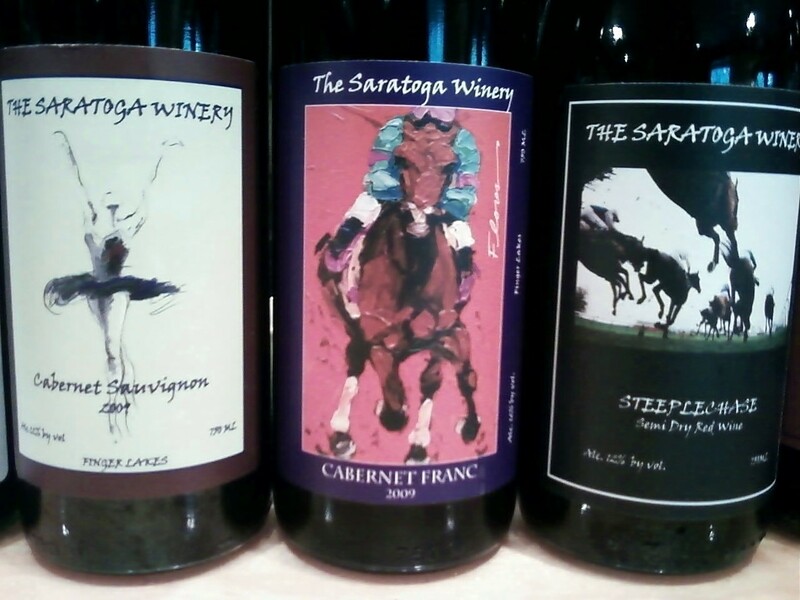 The grapes are grown in the Finger Lakes, but the producer is Macari on the North Fork of Long Island. Theirs is a light, refreshing white wine, with tangerine and honeysuckle on the nose, and a big mouthful of a fresh, tart Granny Smith apple with a citrus ending. I had it with Thai food; it was extraordinary. And this got me to thinking that there are lots of great Rieslings all over the east coast, many of which are worth trying. Don’t get me wrong, Finger Lakes Rieslings are wonderful, but there are many good Rieslings being made elsewhere worth drinking. 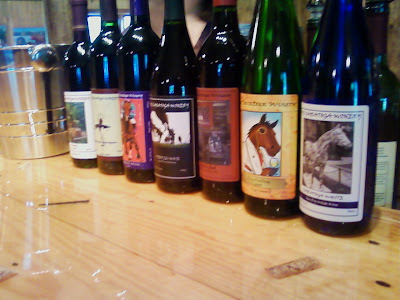 So I compiled a list of other wineries, some estate grown, some using Finger Lakes fruit, to try and savor if you can’t make it to the Finger Lakes. These wines are worth searching for and worth drinking. Riesling is a tremendous food wine, tangy and zippy, with a life of its own, able to stand up to a lot of spicy foods like Thai, Chinese, sushi, and great with salads or cheeses, and great for sipping during a hot summer’s day. Try some, I’m sure you’ll love it. This is not a comprehensive list, and I apologize if I've left anyone off. It certainly was not intentional. These are great wines, time to enjoy the summer of Love - Riesling style. Bill Sciambi,Constance Oehmler, Chris Desor and Steve Doran and the rest of the great folks at Verity Wine Partners have built an impressive portfolio. But you don't need me to tell you that, Verity was featured in Beverage Media only last month in April. 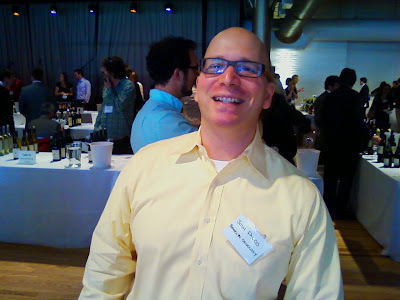 Josh Falco of Brooklyn Oeneology was also seen roaming the floor at the tasting. Early morning the aisles were already moving. By afternoon they were packed. 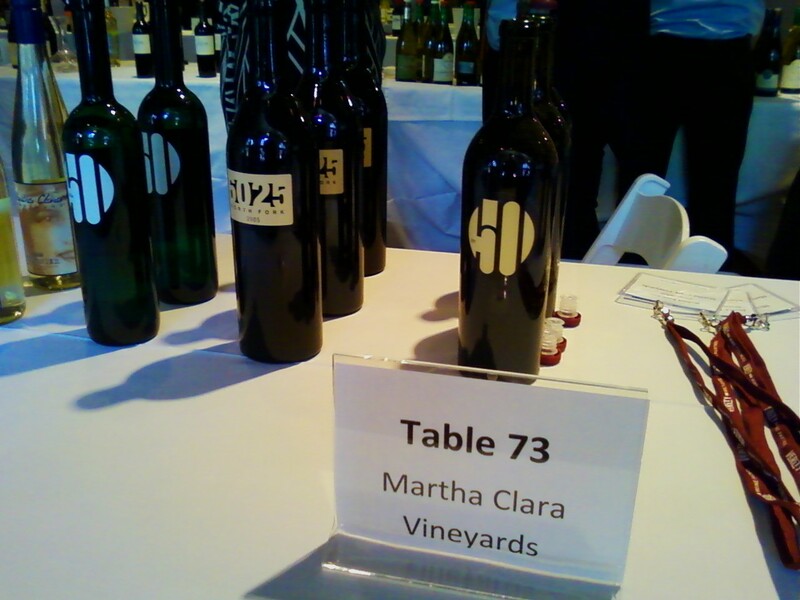 Martha Clara Vineyards was there along with general manager Juan Micieli-Martinez. 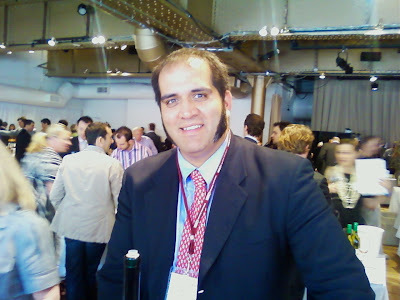 Many distributors are now starting to poulate their portflios with New York wines. The demand for local is small but solid...and growing. Congrats to Verity, and to the three wineries! While the Bartlett Estates Wild Blueberry Dry Oak 1994 was the find of the party, many other wines were found among the bottles opened at the Kevin Zraly Guinness World Record simultaneously uncorking 252 bottles. The wines veried, from the sublime to the ridiculous, but the list was easilly weighted to the better side. 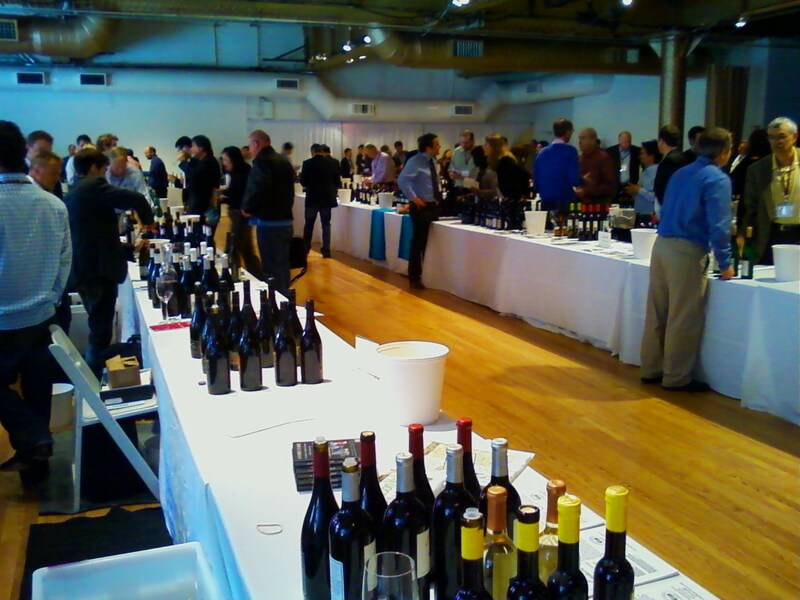 The most notable east coast wine to show up was large bottle Chaddsford Merican 2005! One of my favorite wines! And of course, luckilly enough, it came with Eric and Lee Miller. Eric Miller is among the best winemakers of the East Coast, and he and Lee have built one of the region's most successful wineries. 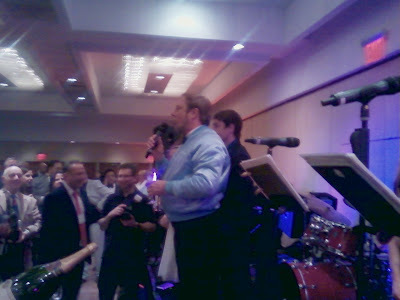 It was thrilling to meet him in person. And his wife Lee was charming. What few people know is that back in the day, Miller and Zraly knew each other because they were both bartenders at the Depuy Canal House in the Hudosn Valley. In fact, the first vineyard Zraly ever saw was Miller's father's estate, Benmarl at Slate Hill, run by the pioneering New York winemaker Mark Miller. Some friendships last a lifetime. 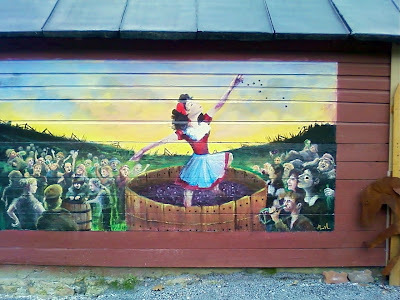 Eric's new book, The Winemaker's Apprentice, was reviewed here earlier. I can;t say enough good things about it. It's an instant classic that needs to be on every winemaker's shelf. 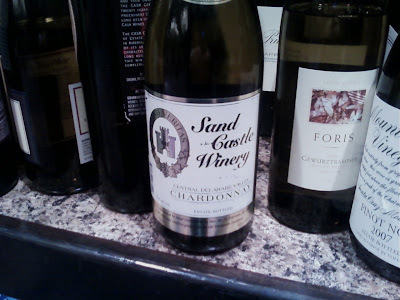 Other wineries that made it inside the door included a Sand Castle Winery Chardonnay from Pennsylvania, A Merliance Merlot from Long Island, a Crossings Vineyard Vidal Blanc, a Barboursville Barbera, and a Hudson-Chatham Baco Noir Old Vines! Another sign east coast wines are becoming more and more popular. 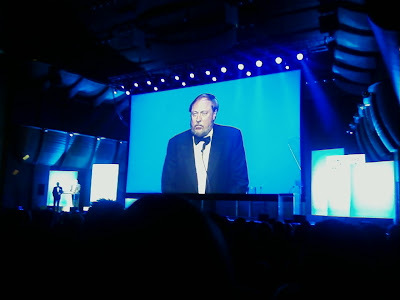 On May 9, 2011 the Kevin Zraly received the James Beard Foundation’s Lifetime Achievement Award. 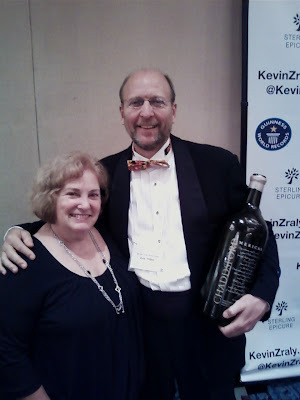 After 40 years of being the world’s best and most widely known wine educator, and author of the world’s best selling wine book, The Windows on the World Wine Course, it was incredibly well deserved. After the ceremony, a party was held at the Marriott Marquis to celebrate this achievement. 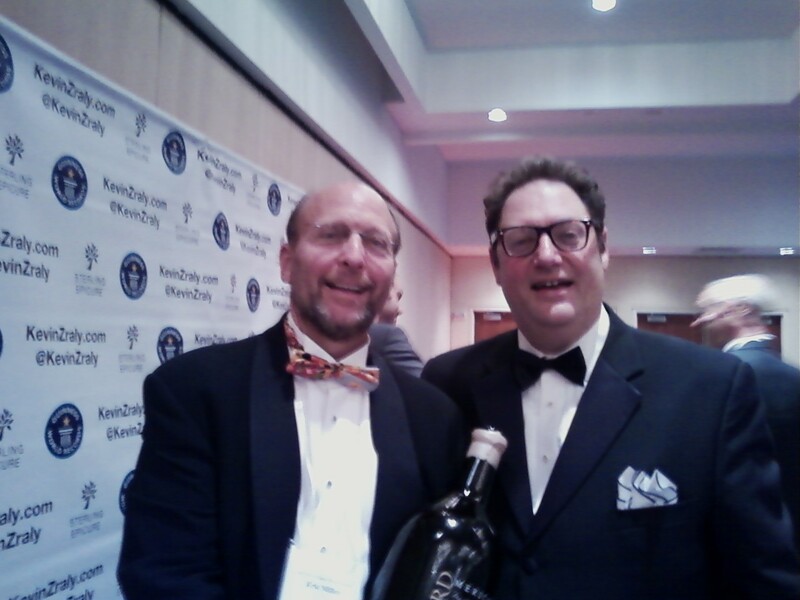 Many, many wine personalities were there, Josh Wesson, Eric Miller, Michael Skurnick, Philippe Newlin, Charles Scicalone, and many, many more. 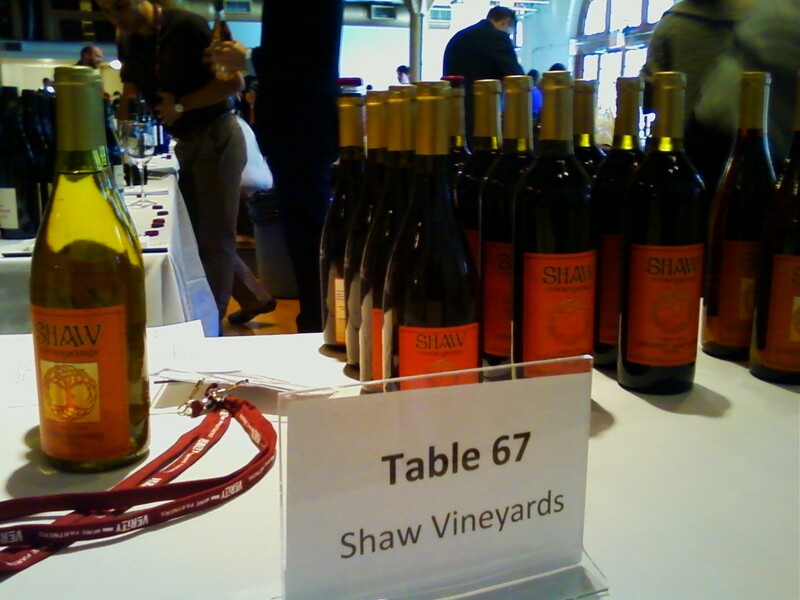 And of course the wine at the event were from mild to superior. 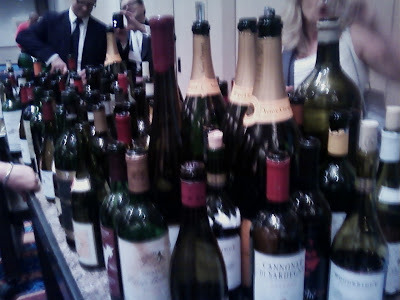 Among the more memorable wines were a Clos de Tart, Chambertain, two stunning Amarone’s (1961 and 1967), vintage champagnes, and many others. 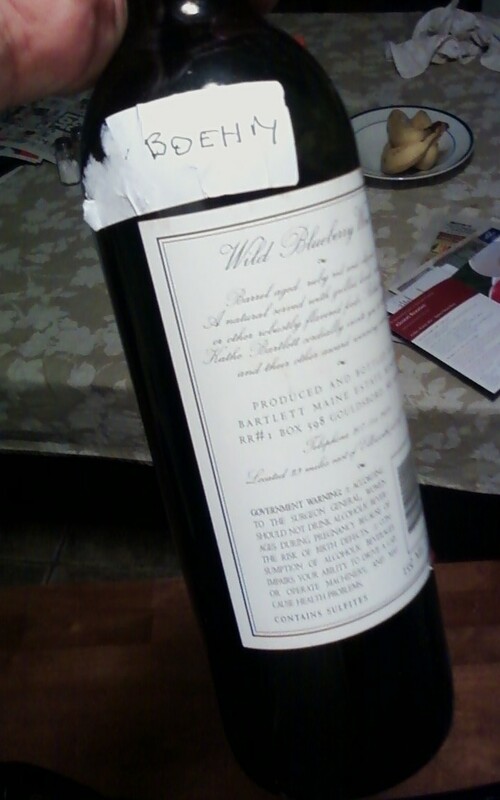 I myself had brought a Barboursville Barbera 2006. I had to be true, and bring an east coast wine. 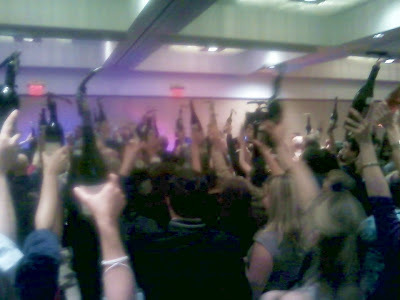 In all 252 people popped a cork in Kevin’s honor to establish a new Guinness World’s Record for simultaneously opening a bottle. 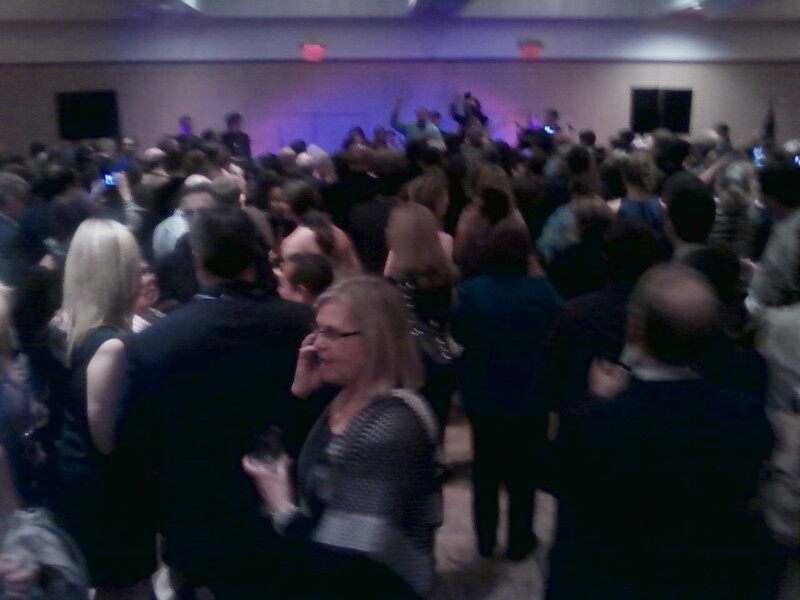 People drank their own wines and each other’s into the wee hours of the morning. 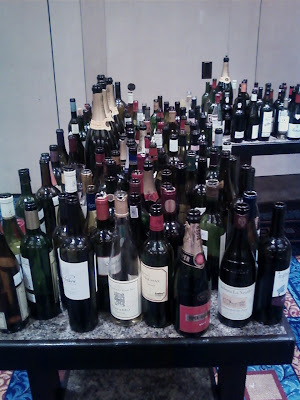 Late in the evening, after the band had finished packing up, and after most of the guests were gone, Dominique and I looked through the wines on that were left on the tables. There were many among the 200-plus bottles. But there was one label that shouted out to Dominique. She came over excited and pointed it out. It was the classic Bartlett Estate label from Maine. 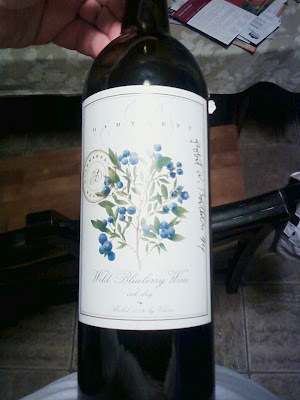 Someone had brought his classic dry wild blueberry winemaker’s reserve! 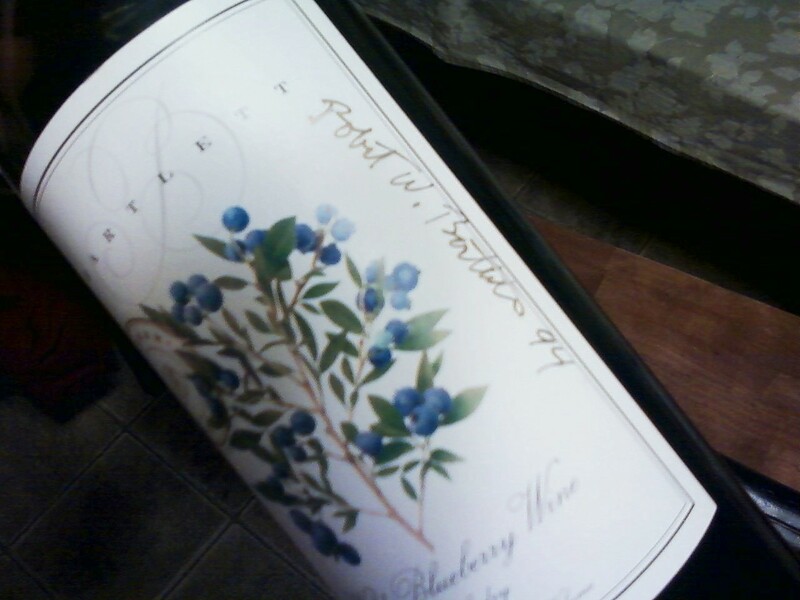 It was a bottle signed by the winemaker himself Robert Bartlett in 1994! To many at the event, it was obvious, that this bottle seemed more like the servant girl who’d somehow had gotten into the ball. But to Dominique and me, it was Cinderella. Someone had brought a 17-year old bottle of Rob’s classic wine. I’d had one at three or five years old. But 17 years old? We were both intrigued. Someone had only taken a glass full, and had replaced the cork. 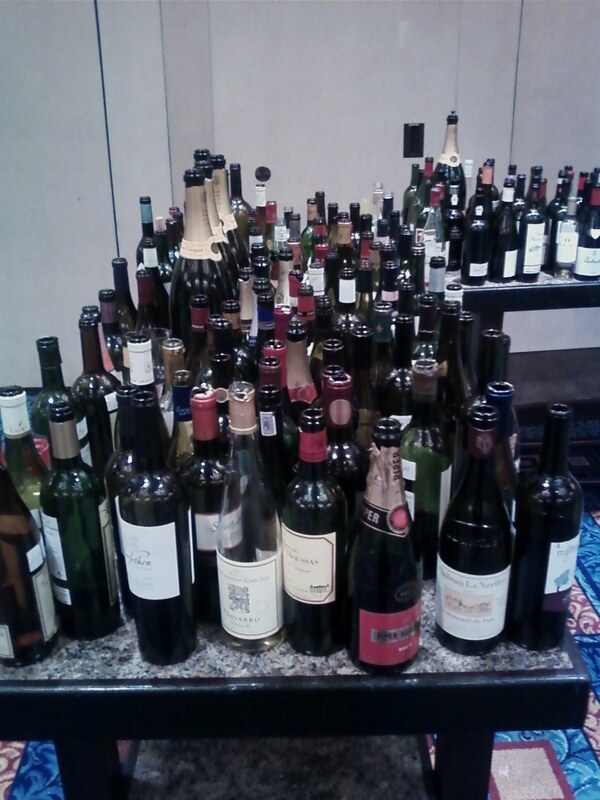 The bottle stood there, practically full. Dominique insisted we should bring it home. We are big fans of this wine. I had originally bought my first bottle of this wine, intending to play a practical joke on my brother-in-law, a massive Italofile. I had bought a lovely bottle of Italian wine to accompany the osso bucco he was serving, but bought the dry blueberry to pour first as a joke. I showed the Italian bottle, but poured the local wine when no one was looking. I assumed we’d taste the wine, have a god laugh, and then move on to the Italian wine. The joke was on me, when the table loved the wine. I grabbed my glass, and was instantly surprised! The wine tasted much like a lovely light Chianti or a nice light Dolcetto D’Alba. We let the bottle of Italian wine stand and drained the Bartlett bottle dry. Years later, I was lucky enough to meet Rob Bartlett, who luckily, turned out to be a really great guy. We picked up the bottle and spirited it away. The next day we were traveling, and the bottle jumbled and jiggled, the cork remaining tight, as we went about our business. But last night, Thursday evening, I found myself home alone with the bottle sitting on the counter. I pulled out a Reidel glass and poured myself a glass full of the garnet colored wine. The nose was all dried cherries, a hint of tomato, with hints of vanilla, saddle leather, and forest floor. The taste was true to the nose. Big cherry still came through on the palate, as well as the tomato. The acids were still solid and the tannins still solid, giving the wine an excellent backbone. It begged for food, but I was a bachelor, home alone while my wife and kids were out. I pulled out some local cheeses and nibbled on them as I sipped the wine and savored the flavors. It was an incredible experience. The wine had aged better than many wines I had ever kept in my various collections and cellars over the years. It showed the quality that Rob Bartlett puts into his product and the excellence that is being practiced at Bartlett Estates. 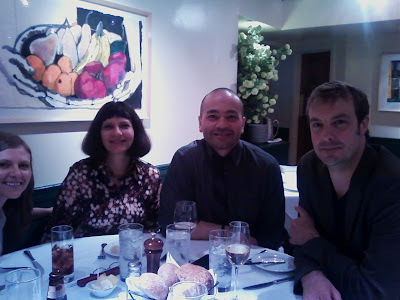 Recently, I’d been treated to an Italian wine tasting dinner, and an industry wine tasting of Italian Chiantis. Those were fantastic experiences. This 17-year old oak dry wild blueberry wine tasted as good as any of the Italian wines I had recently tried, even the old ones. This was an fantastic wine, and another incredible achievement by Rob Bartlett! I said it before and I’ll say it again, if Bartlett were in Belgium or France, he’d be considered a national treasure. I guess, he is here too, weather people know it or not.